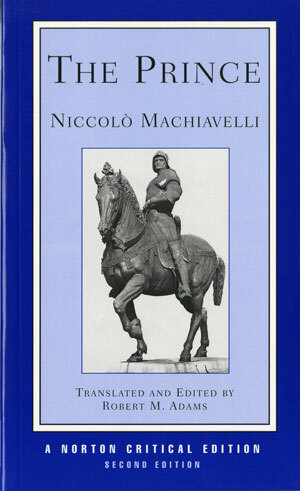 Accurate, highly readable, and thoroughly revised for the Second Edition, this translation renders Machiavelli’s 1513 political tract into clear and concise English. "Backgrounds" relies entirely upon Machiavelli’s other writings to place this central Florentine in his proper political and historical context. Included are excerpts from The Discourses, a report from a diplomatic mission, a collection of private letters, and two poems from Carnival Songs. "Interpretations" retains three of the previous edition’s seminal essays while adding five selections by Felix Gilbert, Federico Chabod, J. H. Whitfield, Isaiah Berlin, and Robert M. Adams. "Marginalia" is an eclectic collection of writings germane to both Machiavelli and The Prince. Of the eight selections represented, five of them are new to the Second Edition, including Pasquale Villari’s comic portrayal of Machiavelli’s first diplomatic post in 1499, Francesco Guicciardini’s lofty rebuttal to Machiavelli, and a collection of Tuscan Sayings to further the reader’s understanding of this timeless text. An updated Selected Bibliography is also included.